Like a Ford Fairlane with a brand new V8 engine, contrasts are ubiquitous in Greater Palm Springs, which comprises nine desert communities in the Coachella Valley. 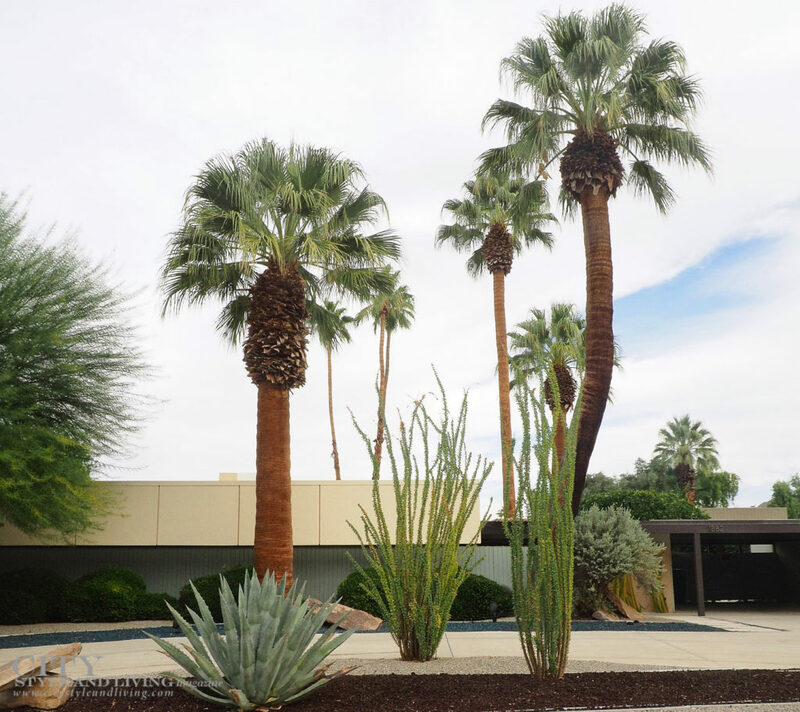 Surrounded by curvaceous mountain ranges and vibrant palms, the magnetic energy here embraces your soul and stands out against the dramatic angles of mid-century modern architecture in Palm Springs proper. 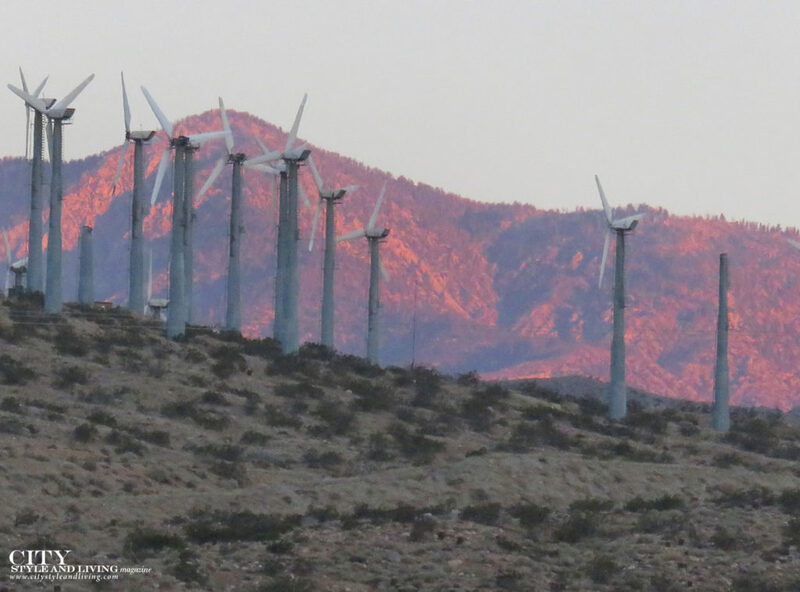 Agriculture thrives in the sometimes stifling heat of the valley, while strong wind currents through the San Gorgonio pass have given rise to wind turbines that line interstate highways like soldiers. Millennials flock here in spring for open air concerts, while retirees bask year-round in hot springs with restorative properties. 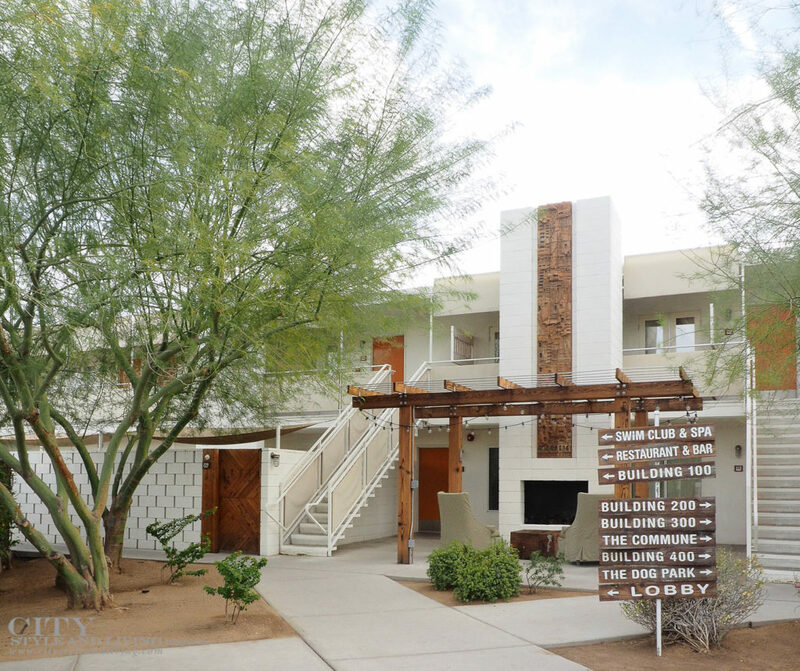 Enterprising culinary entrepreneurs are opening businesses beside decades-old community establishments, and the enduring culture of the Agua Caliente tribe stands proudly alongside 21st century development. 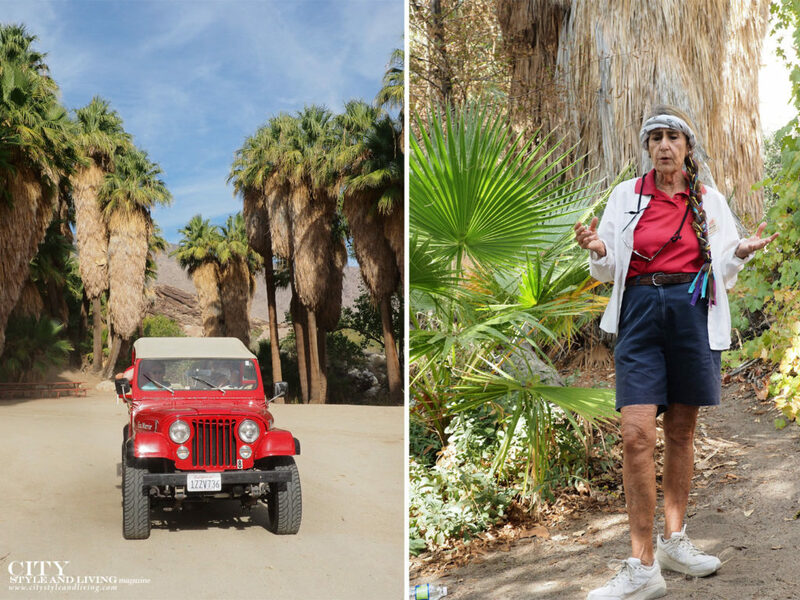 Shivana Maharaj gets a taste of six of Greater Palm Springs’ communities from a heart pumping ride to the top of San Jacinto Peak and sipping a sweet cult favourite shake in Indio, to an educational and thrilling jeep tour of Indian Canyons. 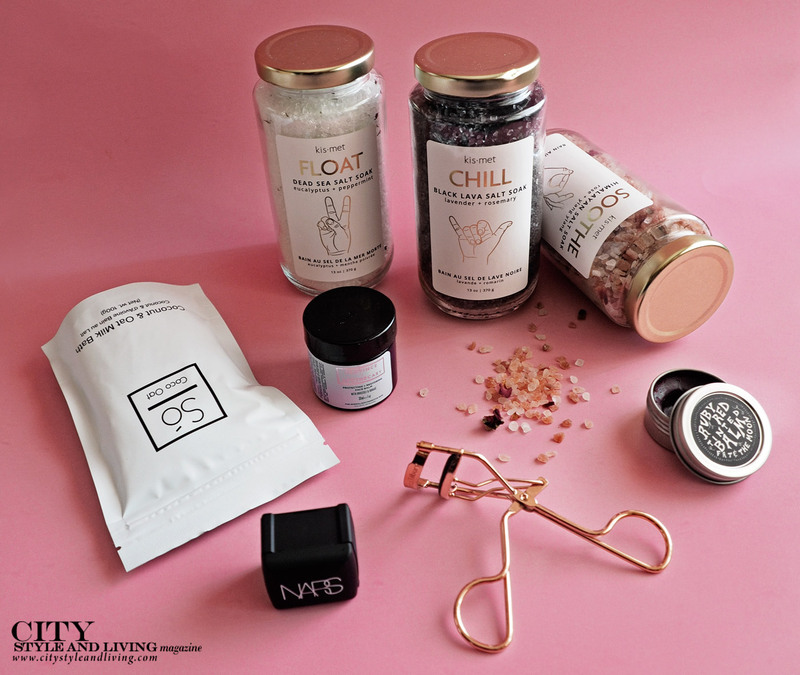 Vintage Americana in all its glory set against shiny modernity is an intriguing mix that will make you want to come back again and again. 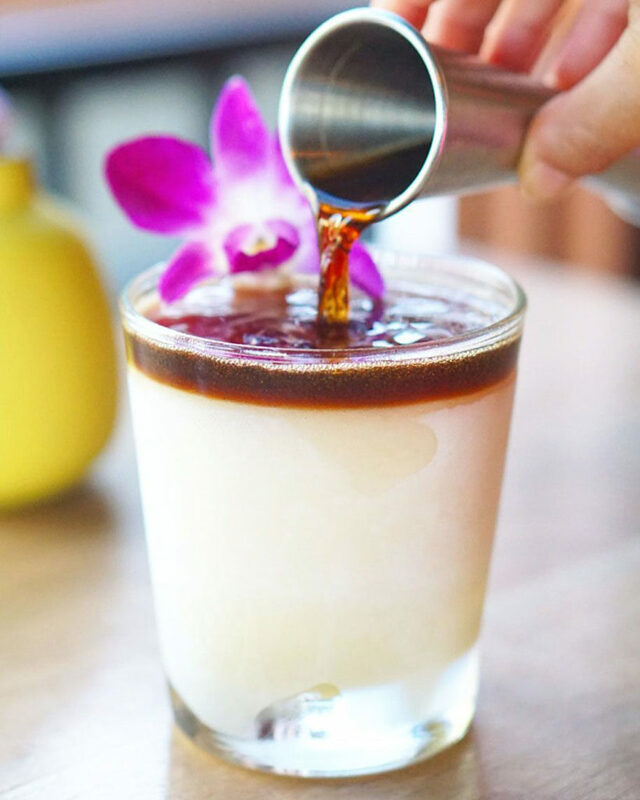 “All the hot deserts in the world are on the same latitude,” begins guide Morgan Levine before doling out a list of a dozen or so countries that comprise the exclusive club, including our California location. I barely have enough time to buckle my seatbelt before we are off on the red jeep tour to Indian Canyons. Clad in a white polo t-shirt and navy shorts, with golden skin, a small athletic frame and colourful bandana entwined in a long braid flowing down her chest, you would never know that in a former life, she was an art appraiser in the big city. Within minutes of meeting and without hesitation, Morgan is able to perceptively suss out the personality traits of everyone riding in her red jeep. Her vehicle, aptly named “ghostwalker”, the Cahuilla Indian word for mountain lion, is a reference, I come to realize, to her own stealthy intelligence. With a sharp wit and seemingly infinite knowledge of the environment, culture and history of the area, Levine delivers information with a steady staccato that makes your ears perk up. Hers is a classroom you enthusiastically enter. Crouched near what looks like perfectly circular holes bored into rock, she demonstrates how the women of the native Agua Caliente tribe ingeniously pounded mesquite pods, in these ancient bedrock mortars to make nourishing ‘flour’, high in fibre. Over time, their constant work leaving indentations. “There was no grocery store in those days, these were hunter gatherers. You had to collect your own food in order to survive,” she continues before pointing out clustered strands of blueberry-sized fruit that hang from the wide trunk of the plentiful fan palms. The palm tree fruit, with sweet outer sap and dark molasses taste, were a popular food source for the Cahuilla, and a favourite of its chief pollinator, the coyote. Rooms are arranged in a horseshoe centered on the large pool, offset with pink candy cane stripe columns. My room features a white mirrored bar, lavish black and white checkerboard bathroom with gold hardware and king sized bed with plush blue flourished headboard. 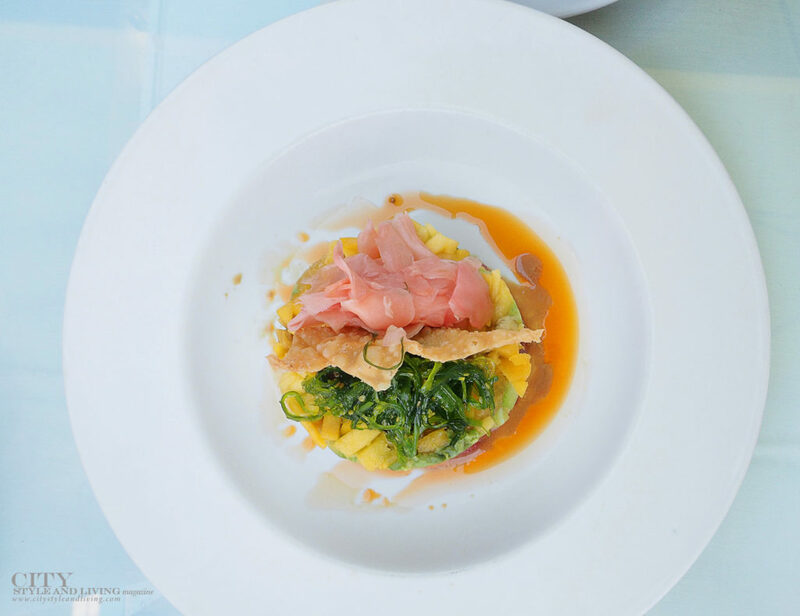 At restaurant The Pink Cabana, executive chef Jason Niederkorn’s French training and the influence of Morocco and the Mediterranean, results in a succinct, well composed menu with bold, flavourful results like crisp red crab beignets with harissa aioli. At an elevation of more than 8500 feet, the clean, crisp air at the top of San Jacinto Peak is a welcome respite from the heat at the base. 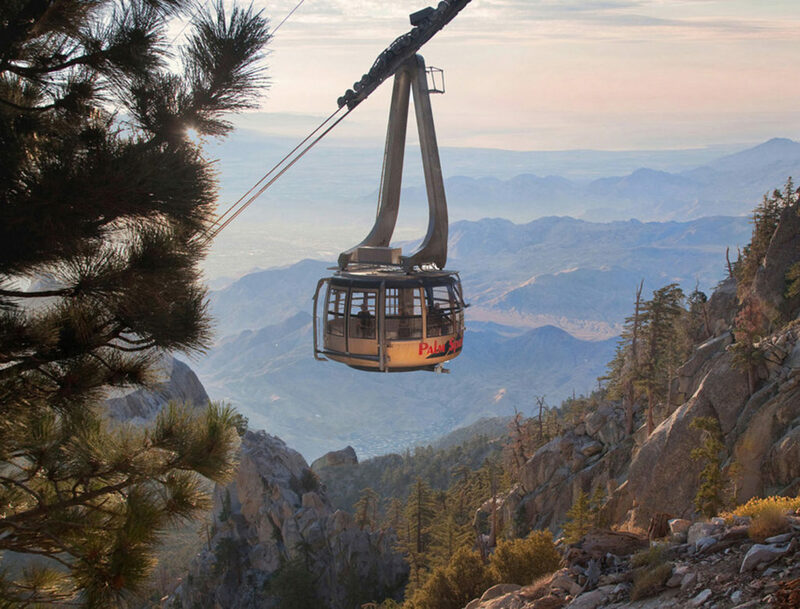 Opened in 1963, this is the world’s largest rotating aerial tramway, steadily rising up through the rugged Chino Canyon in less than fifteen minutes. You’ll also find two restaurants, a natural history museum, and hiking trails. From the observation decks at the mountain station peer over Palm Springs, the San Andreas Fault, Salton Sea and a straight stretch of interstate 10. 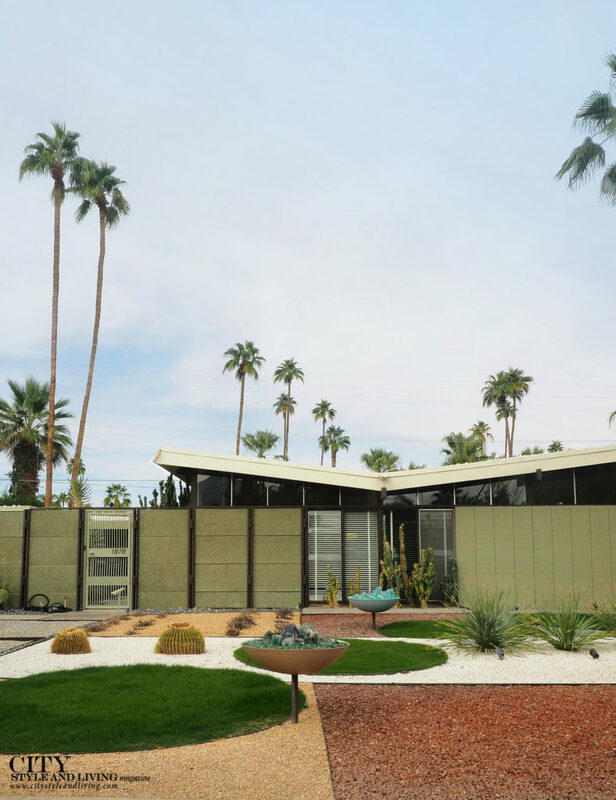 As the place for Hollywood stars looking to escape the bustle of Los Angeles beginning in the 1930s, Palm Springs soon became a mecca for visionary architects catering to them. This convergence created what many today consider quintessential California cool —effortlessly integrating the natural environment with minimal design. I take a spin around several neighbourhoods showcasing an array of mid-century modern styles: the pre-fab steel Wexler houses with accordion pleated roof that echo the mountains; the 1950s estates of Twin Palms, with surrealist landscaping; ending with a surprise private residential interior. The spa could well be in a sleepy town south of the border. Overflowing shocking pink bougainvillea line a lime-washed entrance archway, producing Spanish hacienda vibes. 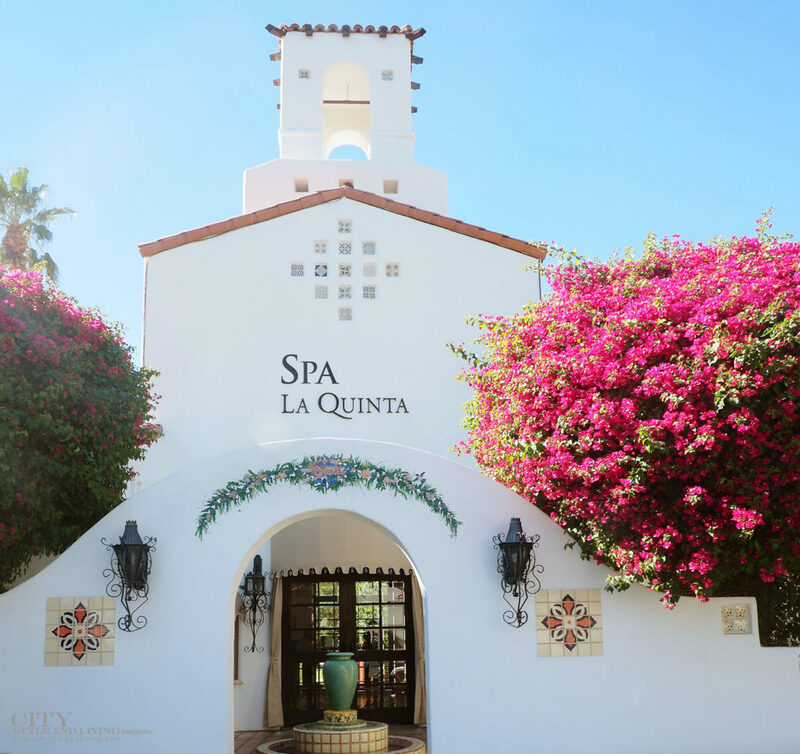 Beginning with a pre-massage scent selection (the desert heat made ‘fresh’ the choice du jour), the 50-minute tailored massage with a mixture of long sweeping strokes used in Swedish massage and get-the-knots-out deep tissue, was equally relaxing and restorative. The tailored method used by my therapist, a mark of her years of experience, is one of the best I’ve had. “Breakfast and brunch are a huge deal here — people will make a point of going out for it,” a local tells me. 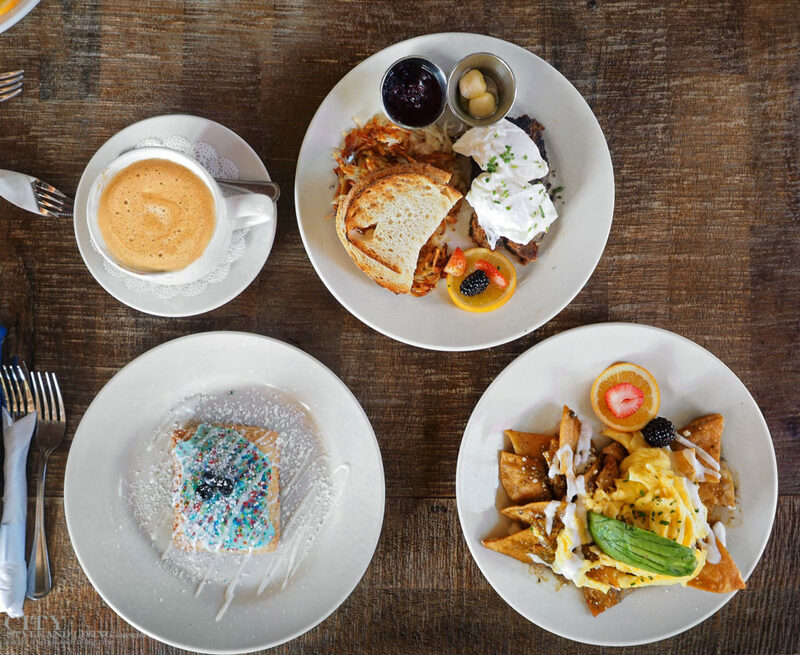 For hearty morning fare, Wilma & Frieda’s newly opened location in Palm Springs is legit. In homage to the comfort food cooked by their grandmothers, the owners put a spin on classics like griddled meatloaf and eggs, shrimp and grits and banana caramel French toast. The breakfast tart (a take on a 1980s kid’s breakfast favourite), updated using a buttery shortbread crust filled with homemade Meyer lemon and blueberry compote, will undoubtedly make the six year old in you smile. 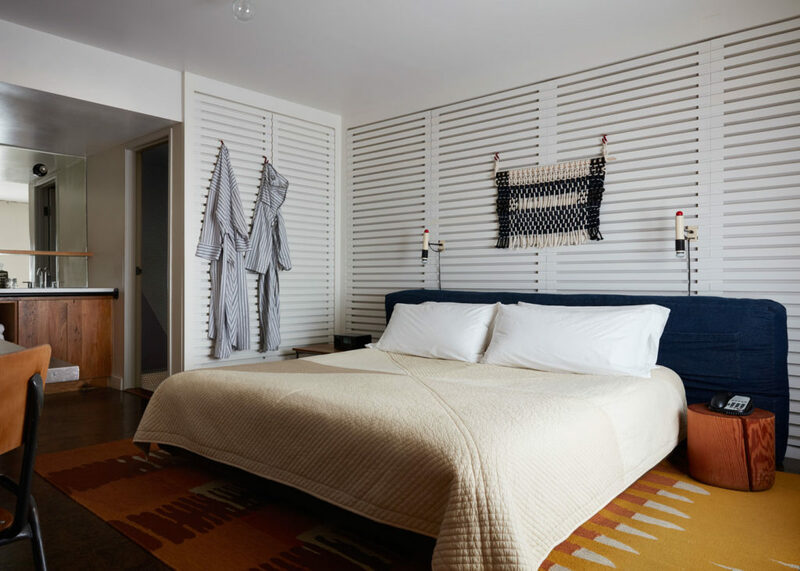 A rustic sensibility pervades this modern hipster paradise reinterpreted from its mid-century motel heyday. Far from elitist, this version delivers a down-to-earth atmosphere with an affordable price point. 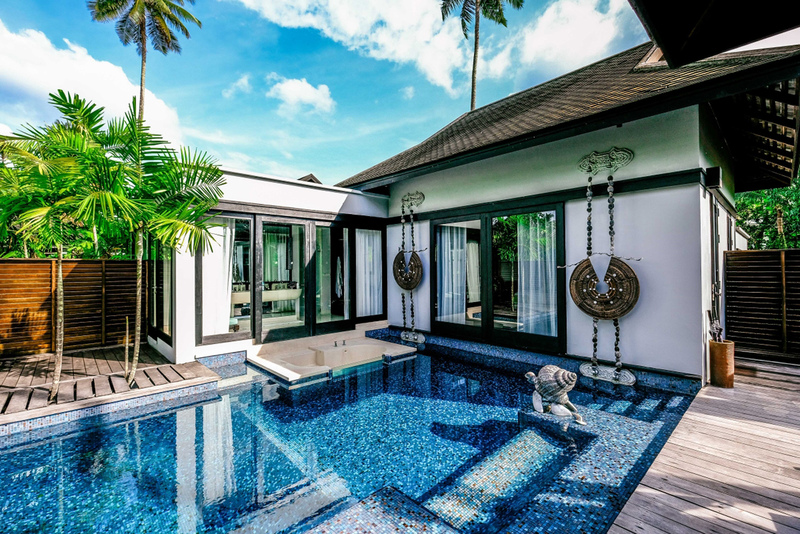 Rooms complete with canvas curtains, low beds, folk-print rugs and simple mosaic bathroom emphasize utilitarian style while calling attention to the focal point pool. 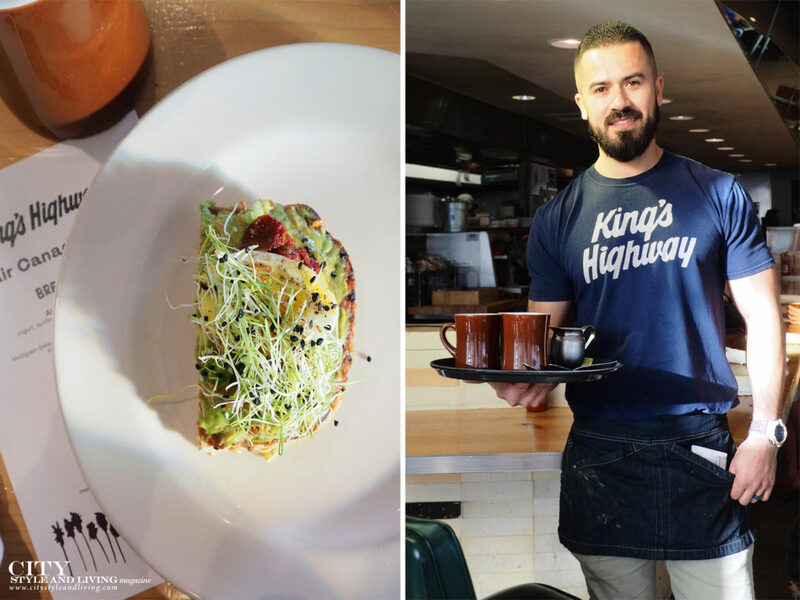 At old school diner, King’s highway, order a bowl of almond granola with fresh berries and agave, avocado toast with soft boiled egg and radish sprouts with a hot cup of Stumptown coffee for the ultimate Cali-cool breakfast. 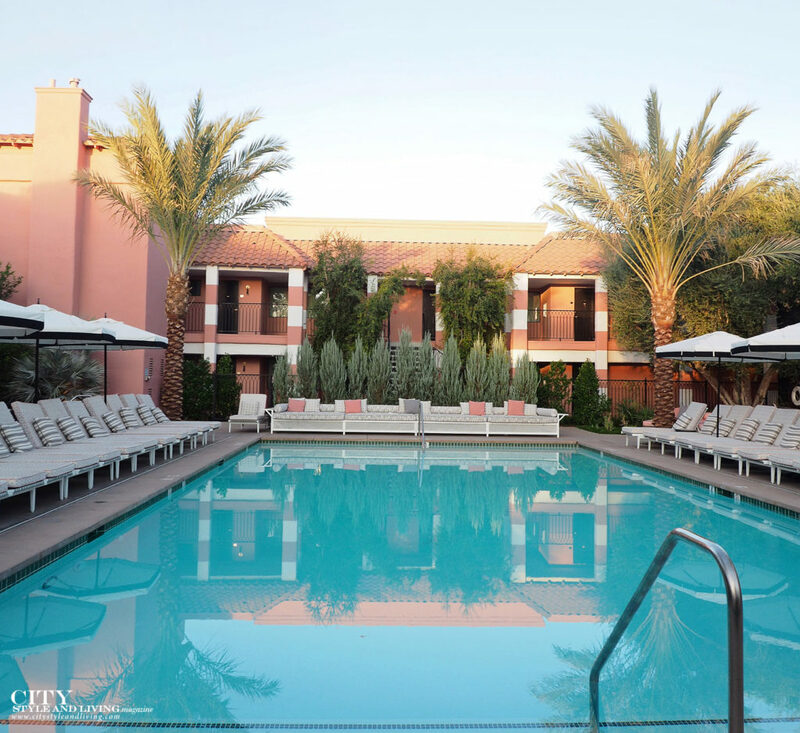 Get the perfect sunset view of the city of Palm springs at the rooftop pool bar, 4 Saints at The Rowan. Sit back with a healthy market “mezza” plate with bright crunchy crudités, pita with piquillo hummus, herbed yogurt and baba ganoush. “Guess how a giraffe drinks water?” questions Bill Baker with unabashed excitement. The retired physicist turned volunteer, proceeds to explain how the animals use their lips and neck to pump water into their oesophagus like a valve. On a private tour in a multi-seat golf cart with Baker at its helm, we meander the pathways of Living Desert Zoo and Gardens, first catching a glimpse of a small sleeping south-western kit fox. A warthog look alike, the Chacoan Peccary comes next, followed by the sly Mexican wolf. We peer at the long silhouettes of ostriches and giraffes high on a hill, hear the roar of a female jaguar, each garnering a detailed explanation by Baker. “We’re one of six accredited (AZA) private zoos in the United States, that’s a very high honour for us and I’m really proud of that,” Baker says, before taking our group to the animal hospital, where we see a bird being attended to by veterinarians through a glass window. Immersed deep in the Sonoran desert, with its dry heat, puce, and soft sage fauna and animals gracefully traipsing about, it is easy to visualize being on safari in Africa. Instead, we are here amidst 1200 acres in Palm Desert. 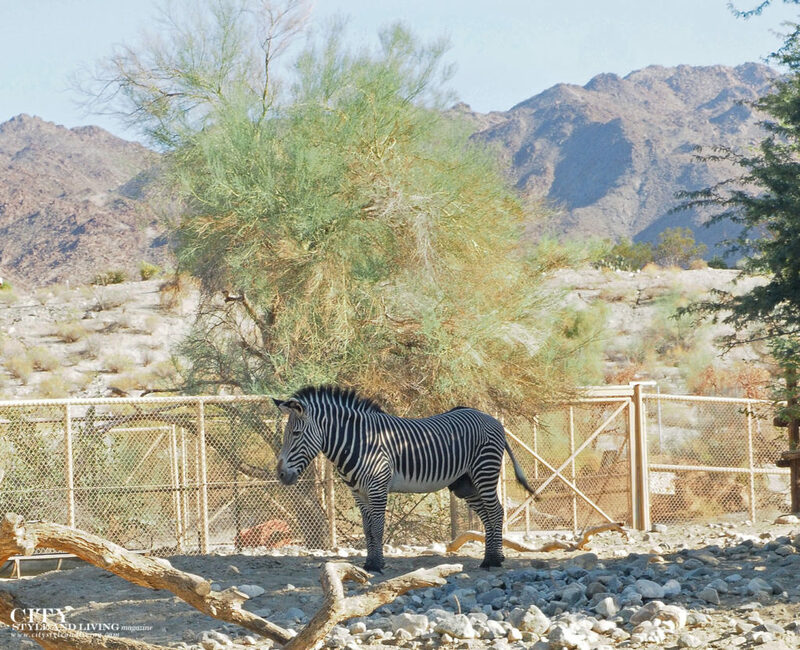 Founded by a group of trustees in the 1970s and dedicated to deserts around the globe, the zoo focuses on education, rehabilitation, habitat restoration and captive breeding programs. One of their successful programs involved reintroducing the Arabian oryx to Oman. One sip of a date shake, and you’ll be hooked. Welcome in this sweltering weather, and served at the Shields Date Garden 1960s-era counter, it is a thick, creamy but not-too-sweet blend of date crystals (a ’30s-era invention of founder Floyd Shields), milk and vanilla ice cream. 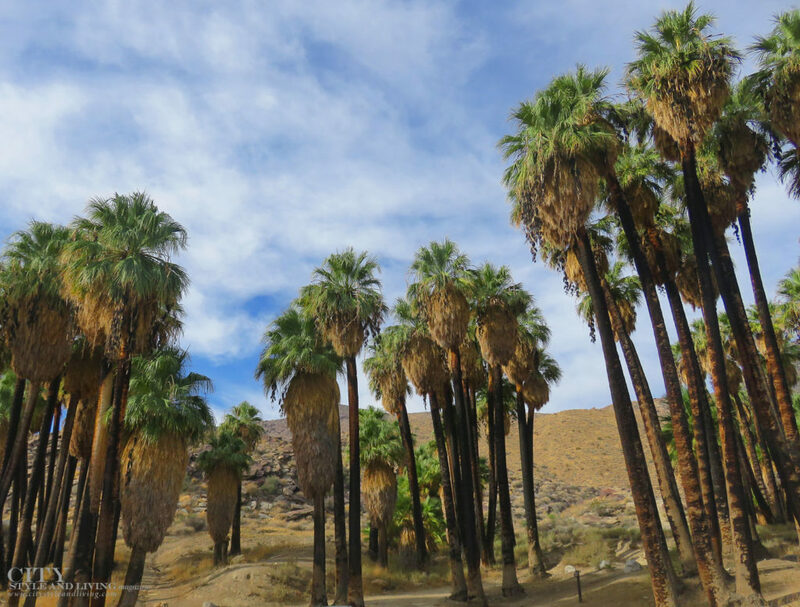 Date palms were brought from the Middle East to the Coachella Valley at the turn of the 20th century by USDA scientists, and an industry was born. Shields along with his wife Bess, began propagating the notoriously finicky fruit in 1924. 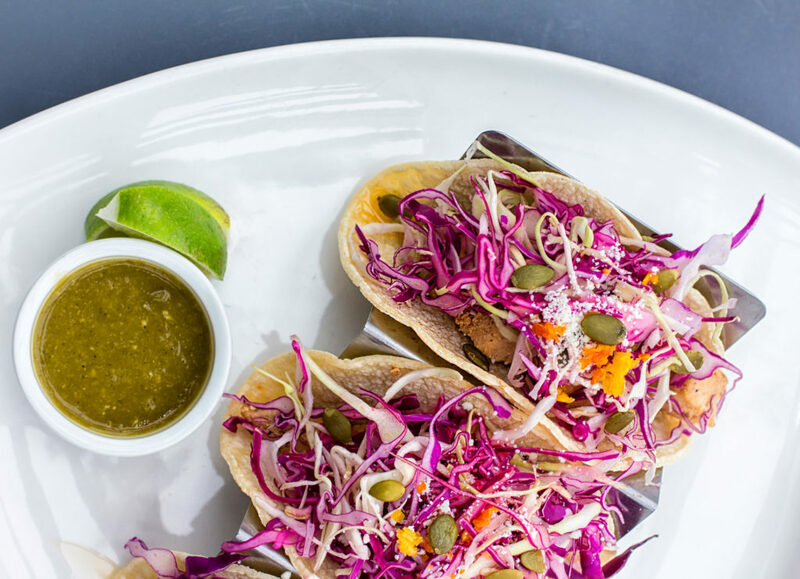 Schedule a stop for lunch at the café (I recommend the fish tacos with golden fried walleye), after a stroll through the 17 acre date grove and botanical gardens. 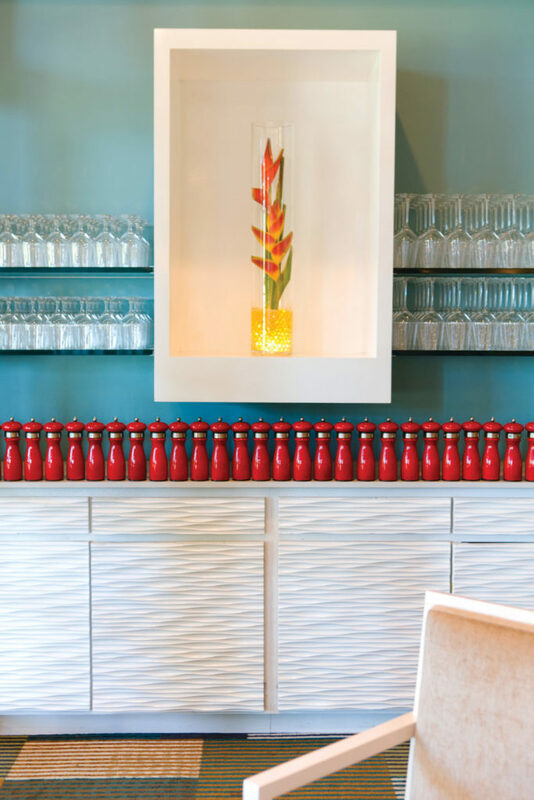 Sister restaurant to popular Lulu’s in Palm Springs, a playful tone is struck from the time you approach with splashes of colour and a sculpture entitled “Forks on their Way to Nirvana”. Inside, white-framed, cubist-style renderings by one of the owners’ father, and white graphic banquettes, lay the scene for truly flavourful fare. 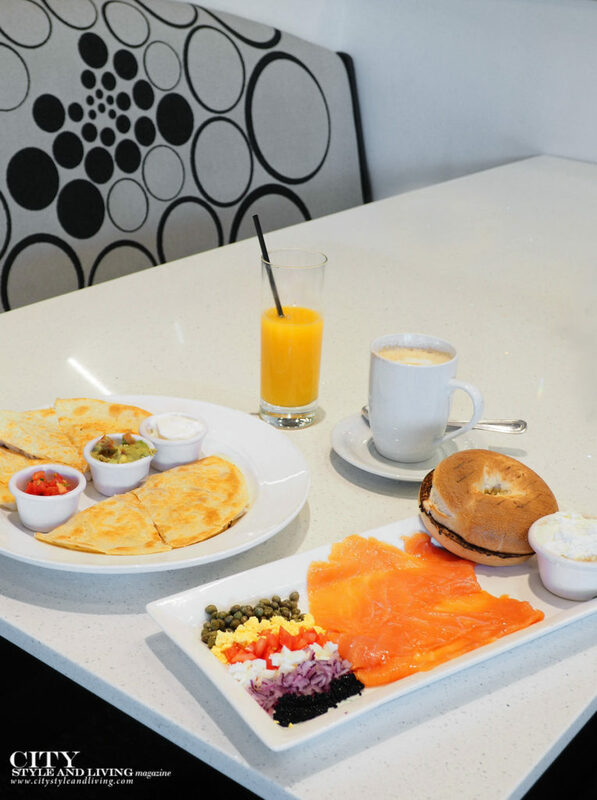 The four-panel menu offers an extensive array of choices like California Norwegian Benedict, French crêpe maison, omelette, Belgian waffles and bespoke breakfast combinations like chicken quesadilla and machaca con huevos. Being in California means there’s also an abundance of healthier options too. 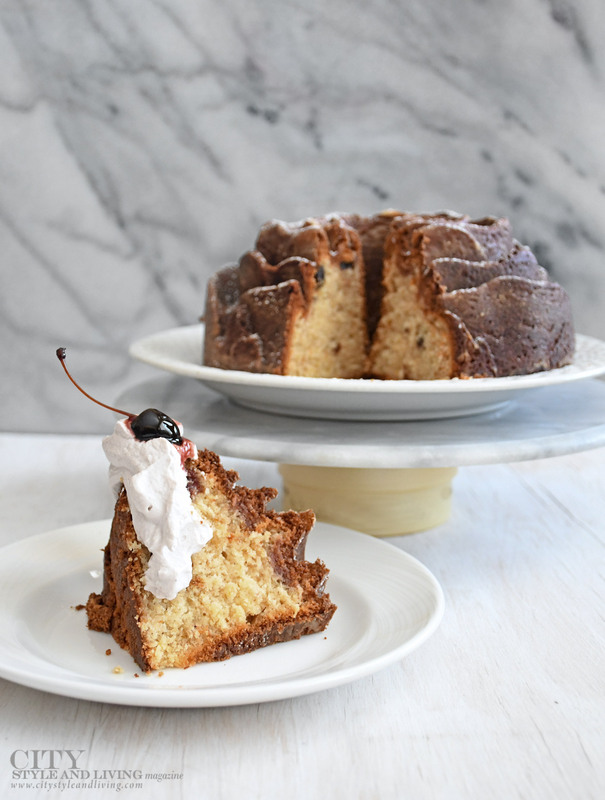 Pair with a glass of squeezed-in-front-of-you, sweet orange juice, and your day is set. Dine in the fresh desert air at this romantic spot in Indian Wells. Begin with the heirloom tomato and burrata salad, lightly drizzled with basil oil and topped with tiny balsamic caviar pearls, followed by the seared New England day boat scallops with jalapeno jam risotto and a glass of chilled sauvignon blanc. Pastry Chef Karine Moulin’s crème brûlée, delicately perfumed with Madagascar vanilla bean and topped with fresh berries and a crisp caramelized sugar crust is textbook perfection. A fusion of turquoise floral wallpaper, white and gold framed portraits of Frida Kahlo, ikat floor tiles and white, round-back chairs makes the atmosphere here the millennial definition of soignée. Walk up the stairs though and it all becomes more subdued. The open-air lounge complete with crackling fireplace and well placed lanterns lets the views do the talking. The cuisine successfully marries the Mediterranean and Mexico with tasty dishes like crisp calamari with chipotle lime aioli and jumbo scallops with crisp polenta, corn hash, and bold cabernet chorizo sauce. The spotlight at the newly opened Palm Springs location is squarely on the gleaming Marlin bar. 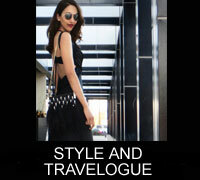 Not forgotten is the brand’s signature laid back atmosphere and American fare with tropical flair. Order the lump blue crab and avocado salad with zingy lime caper vinaigrette with a side of soft, caramelized plantains with a slice of key lime pie to go. A memorable rooftop dining terrace at sister location on El Paseo (Palm Desert’s upscale shopping area), features a menu that is a little more grown up, with the same casual charm. 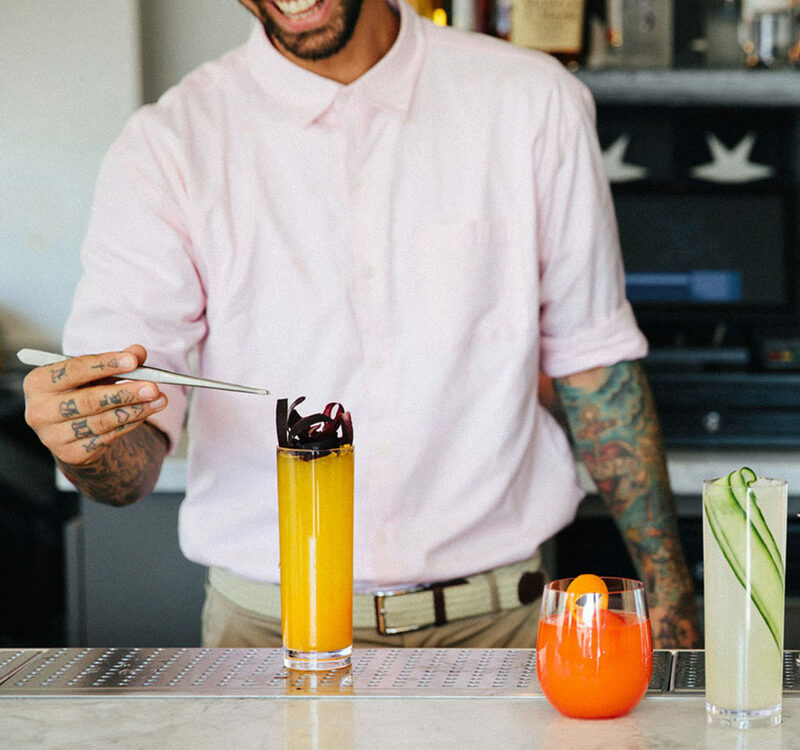 Begin with a bahia sangria, and nibble on sweet, crunchy coconut shrimp or tuna tacos with wonton shell and wasabi avocado crème. Gently spicy Thai shrimp and scallops with fragrant lemongrass and coconut curry is a must. 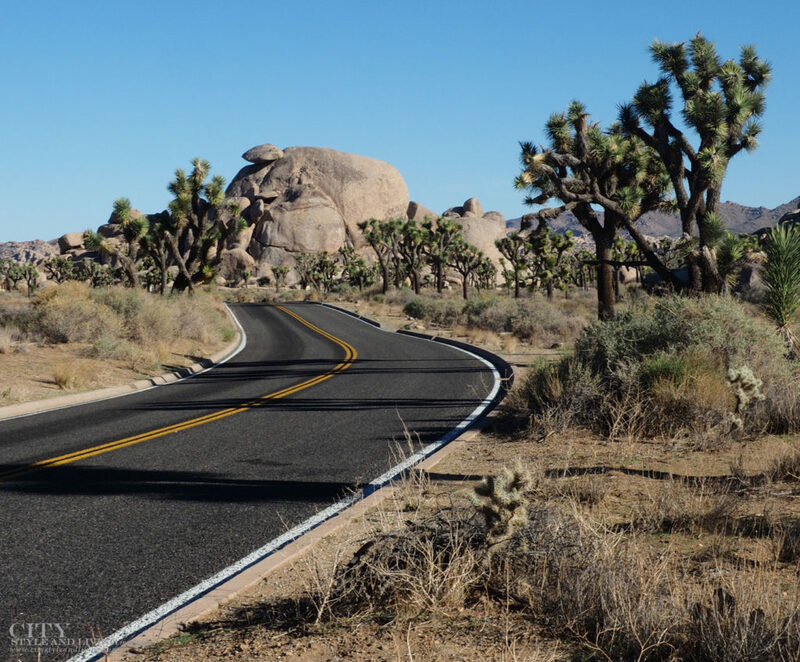 Requisite, is a trip to Joshua Tree National Park, the epic convergence of the Mojave and Colorado Desert ecosystems. Highlights include: Keys view (the highest panoramic viewpoint), Hidden valley, skull rock and the chola cactus garden. 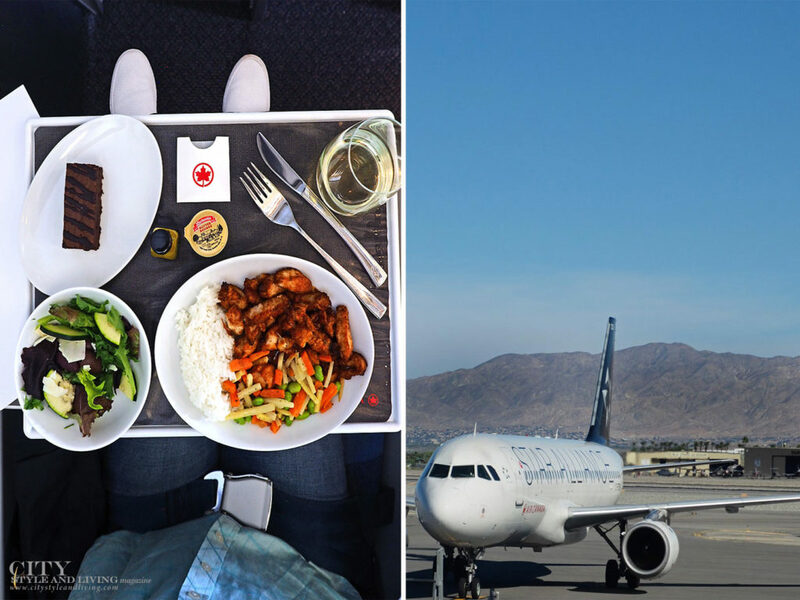 Enjoy daily non-stop, seasonal service to Palm Springs from Calgary (from October 28 2018 until April 30 2019), and Vancouver aboard the fleet of Air Canada Airbus A320. 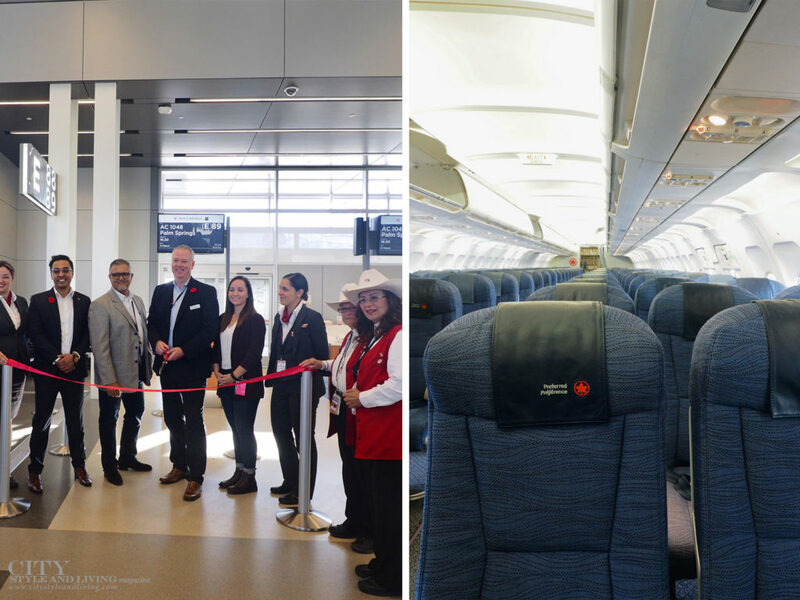 “We are very pleased to offer additional convenient travel options to Albertans with non-stop flights from Calgary … to Palm Springs this winter,” says Benjamin Smith, President, Passenger Airlines at Air Canada. 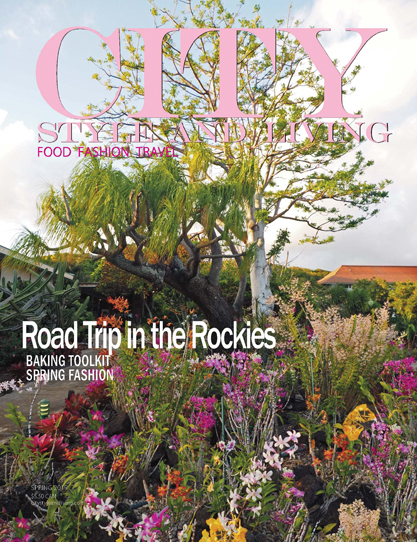 This original travel article first appeared in the Winter 2018/19 issue of City Style and Living Magazine.